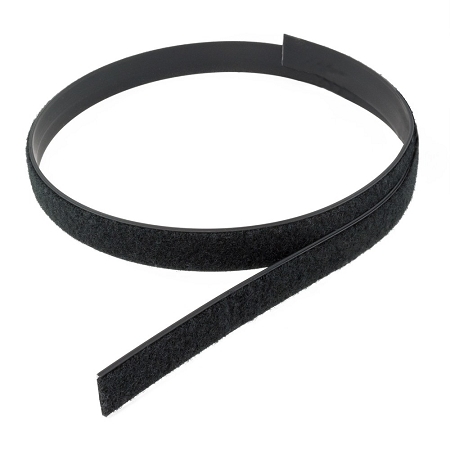 Velcro® Brand and inexpensive off-shore brand Sew-On Hook & Loop tapes in black, white, blue, red, gray & beige from widths of 5/8" to 4". Peel & Stick Adhesive Back, also known as Sticky Back Hook and Loop by Velcro® Canada, 3M™ Canada and an inexpensive tape from overseas. Velstick® Semi Rigid Fastener is quality manufactured by Velcro®, this is a woven nylon bonded to a semi-rigid vinyl extrusion. 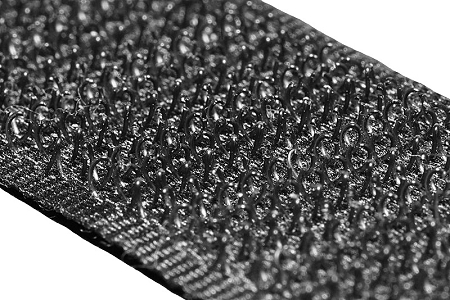 Usually installed with rivets or screws and is used to attach & hold in place cushions, gym wall mats, mosquito mesh etc. 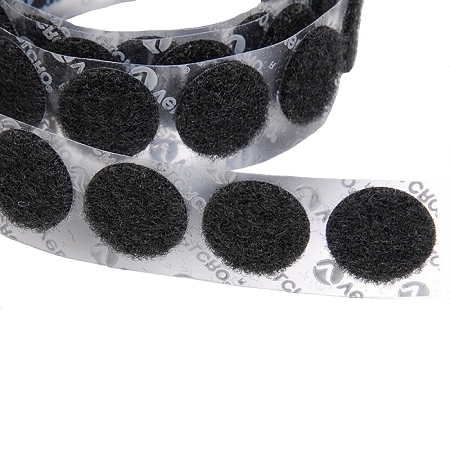 Velcoins® are pre-cut circular Peel & Stick Adhesive Back Velcro circles. Because of the rounded corners you need not worry about the edges lifting. 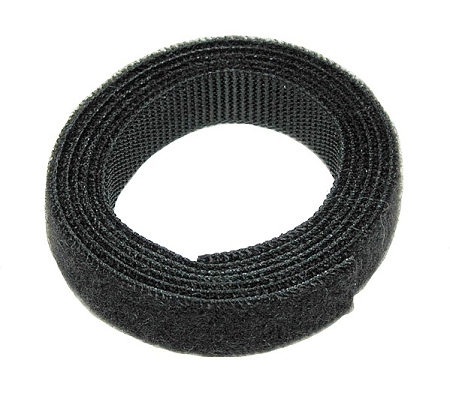 Quality manufactured by Velcro® Brand Products. 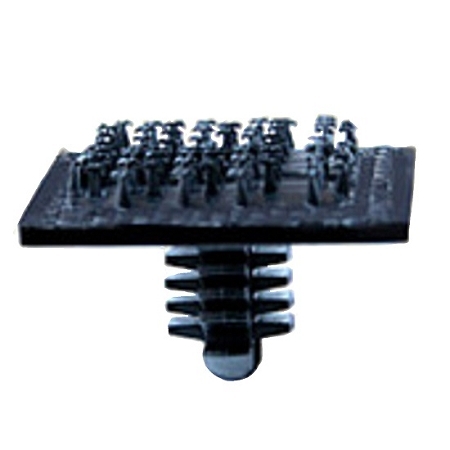 Manufactured by Velcro® Brand Products, these semi-rigid Velstuds® can be screwed or plugged into a pre-drilled hole. Hook & Loop Wrap Tape is a fast and easy way to store and fasten items on boats, RV's, cars, planes or any application where you require a quick tie down and easy release. 2-part fastener where the Hook and Loop tape is glued Back to Back. 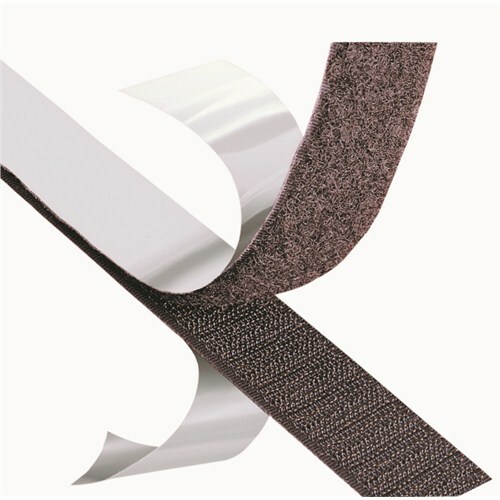 Display Velcro® Fabric is a 57” wide loop style fabric made by Velcro that is designed so the hook side of Velcro tape will stick to the fabric. This fabric makes for a great fabric to cover display boards for use in trade shows, office partitions, bulletin boards and anywhere you want to quickly place & remove advertising, charts, graphs, pictures and wares. Stretch Loop Tape is made from nylon, cross-woven with rubber fibers allowing this tape to stretch to 100% of it’s length.